What is the purpose of the Inclined Shelving? 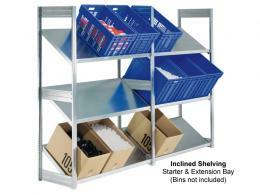 The Inclined Shelving makes it easy to view materials being stored as well as access them faster. Keep your work environment clean and organized with the galvanised shelving unit that can hold a load capacity of 100kg on each shelf! 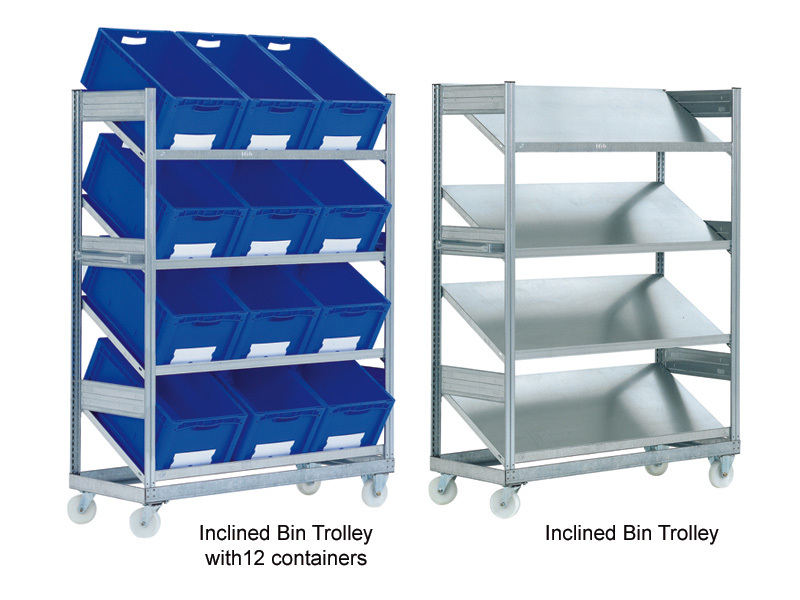 The Inclined Shelving can hold bins at an inclined view, ideal for efficient storage, and makes products easily accessible for use and replenishment. Your business doesn’t have to slow down because of organization and storage problems. Inclined Shelving can be your solution for storing tools, materials, necessary items, and finished products. Being able to easily view and pick items stored in the bins placed on these shelves will help you run an efficient workplace. Production, manufacturing, shipping, and distribution centers can benefit for the Inclined Shelving. You can store packing materials in warehouses for easy viewing and accessibility. Don’t waste time searching for necessary materials by pulling down boxes, as the inclined position allows a better overview. 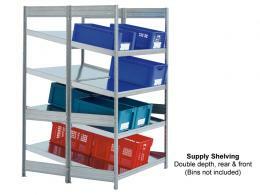 Shelving units can be used in storage rooms, factories, basements, garages, and warehouse. 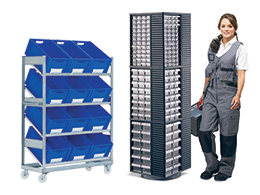 The Inclined Shelving is the ideal storage unit for distribution and shipping centers. You won’t have to search for packing materials as everything can be easily viewed and access on this galvanised shelving. The options are endless for these heavy duty Inclined Shelving.